Nigeria Professional Football League (NPFL) returnees Bendel Insurance FC on Friday evening narrowly missed snatching valuable away point at Katsina United in their Matchday 7 fixture as the hosts came from behind to claim all three points with a 2-1 win. Insurance had shocked their roaring hosts when Meyiwa Oritseweyinmi’s 40th-minute header from Michael Enaruna’s freekick forced Super Eagles goalkeeper Ikechukwu Ezenwa off the goal line to give the visitors a lead. The celebration did not last long as the Changi Boys quickly responded with a fine finish three minutes later through Lukman Mohammed whose spot kick three minutes into the game could not go past Insurance high reflexed keeper Amas Obasogie. 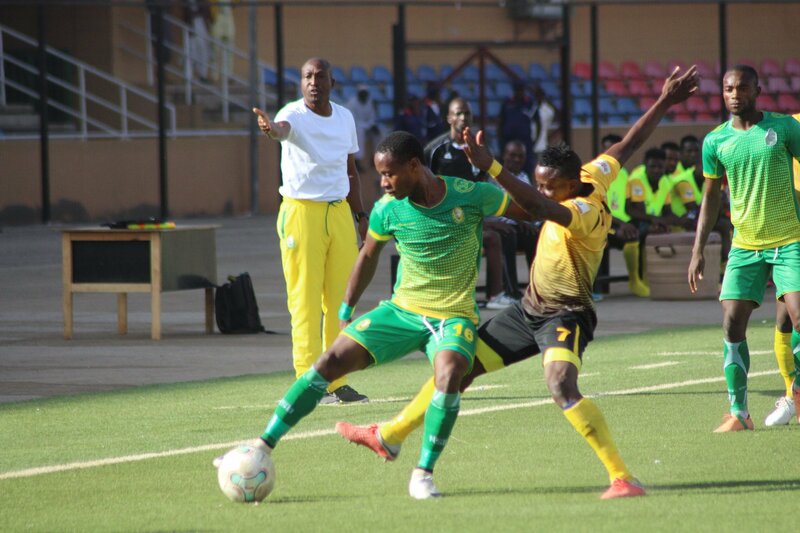 Both teams missed several scoring chances throughout the tension soaked game until Tasiu Lawal’s 84th-minute blast from Sheriff’s fine cross from the left flank gave Katsina the maximum points. The Benin Arsenal before the Katsina game on Monday, defeated NPFL reigning champions Lobi Stars 1-0 in Benin and will be hosting Rangers International of Enugu next week before traveling to Akure for a clash with Sunshine Stars. Speaking after the game, the Technical Manager of Bendel Insurance, Monday Odigie encouraged his boys to quickly put the feelings of Katsina defeat behind them and work towards winning their next games.